Business Walk 360 specializes in creating 360 virtual tours platforms and other video and photographic promotions that help promote business products and services. For virtual tour services, we currently offer two distinct types of virtual tours that services different functions. The first are custom tours for business websites. These feature custom made graphic & text overlays which can create a clickable interactive multi-media experience for visitors to your website. For retail businesses, this may include clickable products which essentially turn retail oriented tours into 360 virtual shopping experiences for clients especially if your business has an e-commerce online store to link to. The second virtual tours we offer are Google Streetview Trusted virtual tours which are primarily used to showcase and your business through Google promotions. We transform your Google search results into a virtual tour marketing experience. We shoot virtual tour and feature photos to help promote businesses in Google Searches Engine and Map results. By linking Google Maps Google Streetview Trusted virtual tours & feature photos on a business’ listing, we help businesses enhance their online presence. In addition to virtual tours, Business Walk 360 also provides various professional photography options. These include location photography such as architecture & real estate photography for both commercial and residential properties. Please inquire with Business Walk 360 staff and also mention if you’d be interested in video and photography media bundles. Business Walk 360 was founded in 2012 by Jay Esguerra, a photographer & entrepreneur in Los Angeles. 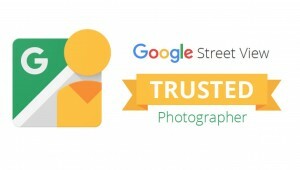 In 2012, Jay was chosen as on of a select few Google Trusted Photographer businesses in the US to exclusively offerGoogle Streetview Trusted 360 degree virtual tours to businesses in Los Angeles and across the US. In 2015, Jay has since started producing independent custom tours for business websites to further offer new and innovative ways to promote products, services, and interiors for companies and real estate. We shoot primarily Canon DSLR cameras for photography. Once photo shoots are done, we edit feature photos with Adobe Lightroom and Adobe Photoshop to produce high quality images. We also offer 2.5K Black Magic Video Production upgrades for video package bundles. Business Walk 360 shares office space in Nextspace Coworking offices in Culver City. Feel free to schedule an appointment to answer your questions for getting a virtual tour and feature photos for your business today.